Yesterday on the percolation pond there was some sad news of the breeding Black-winged Stilts. There was no sign of the breeding bird on the platform and all the eggs have gone. This did not look like a good place to breed for the birds and so, unfortunately, it has turned out. The two adult birds were still around on the edge of pond so, hopefully, will find a better place to nest and breed again. 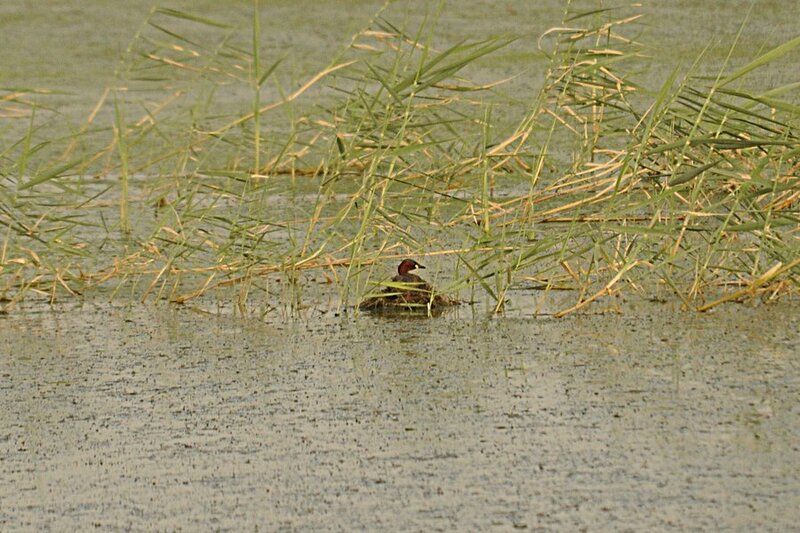 Better news was that I found the nest of a Little Grebe on the edge of a small patch of Phragmites reeds growing well out in the pond. Last year two pairs of Little Grebes successfully raised young on the pond. Another encouraging sign of breeding is the fact that both male and female Little Bitterns are still present on the pond and they bred here for this first time last year.